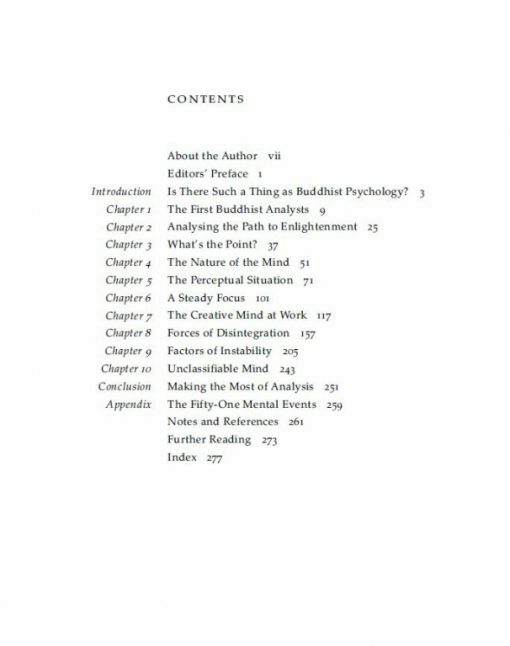 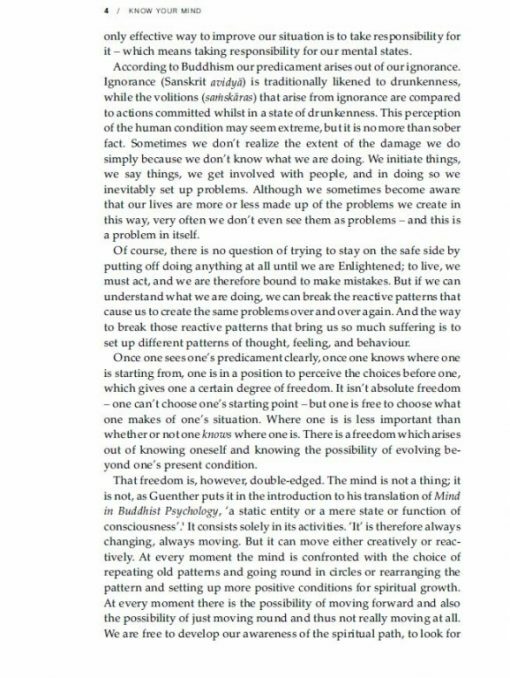 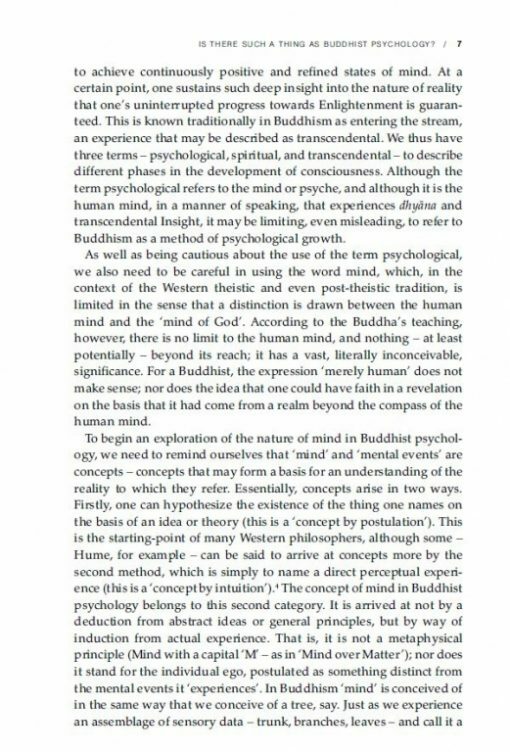 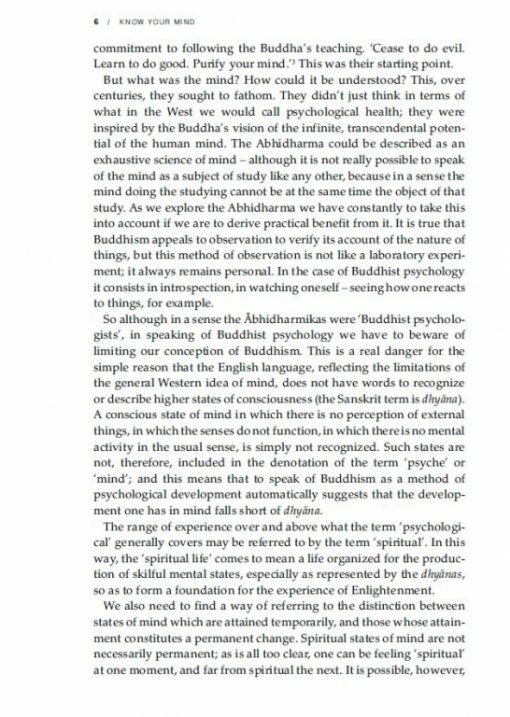 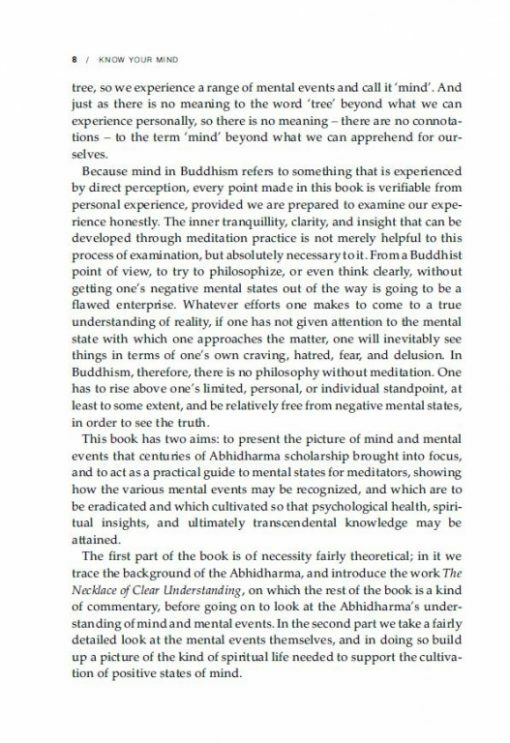 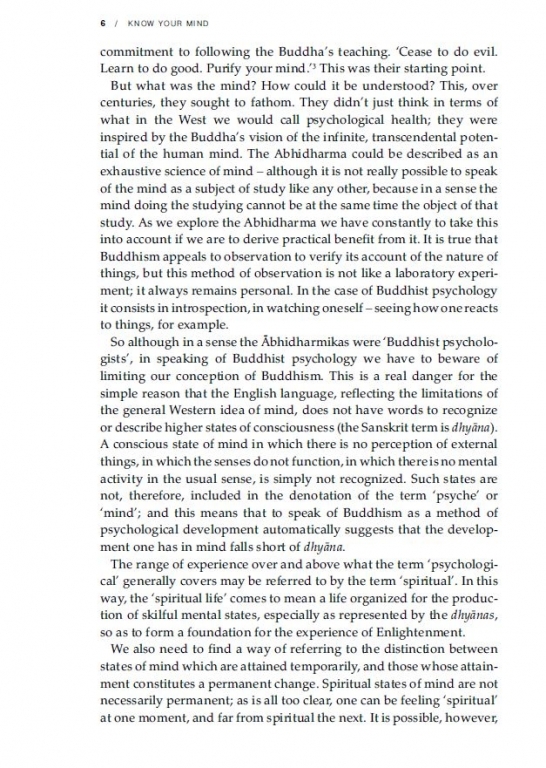 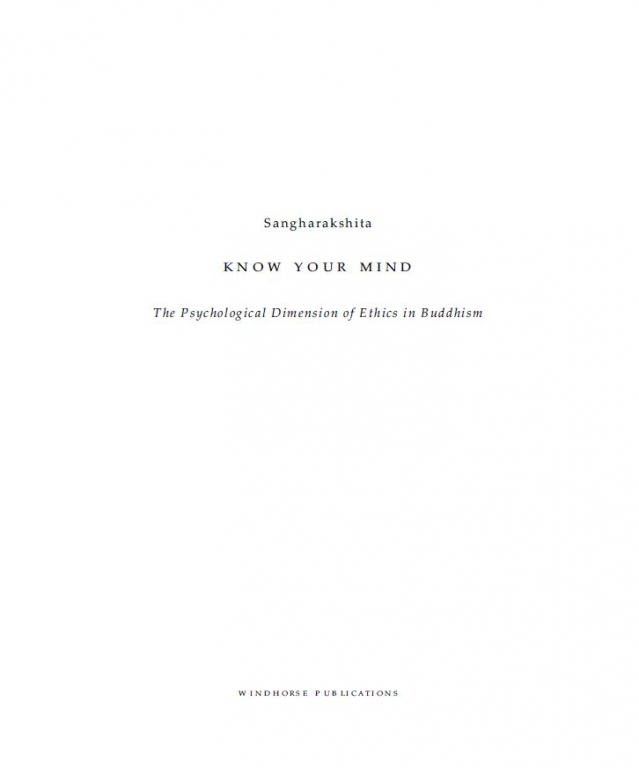 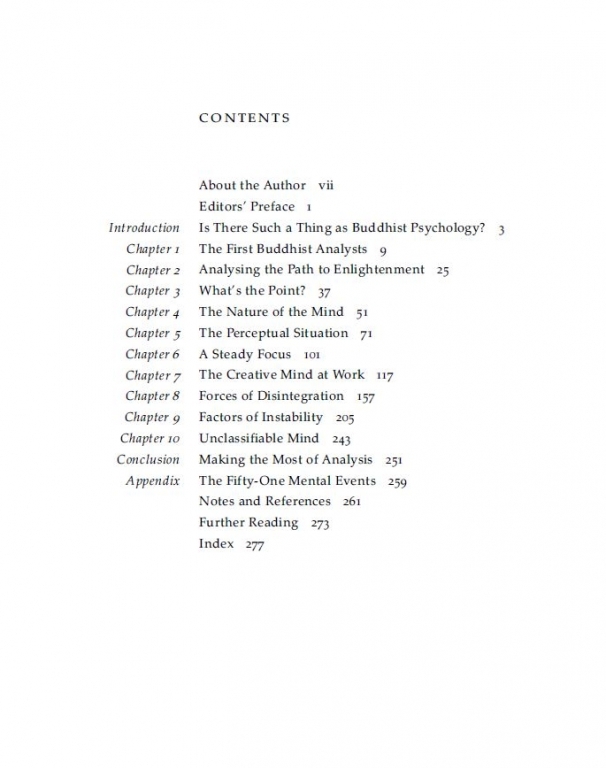 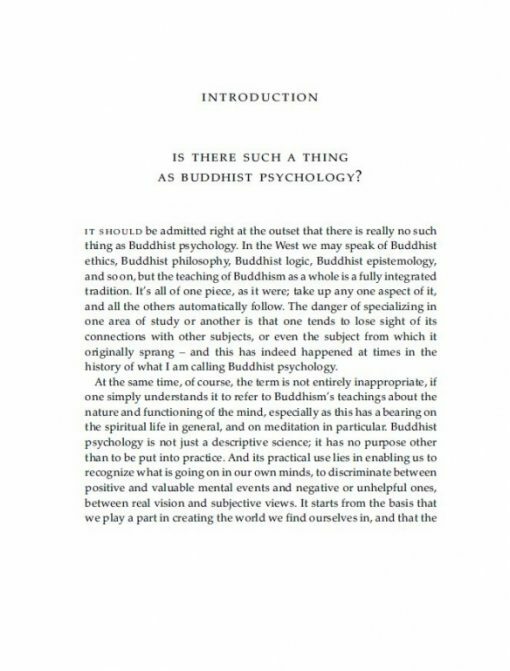 Know Your Mind is an accessible introduction to traditional Buddhist psychology, offering a clear description of the nature of mind and how it functions. 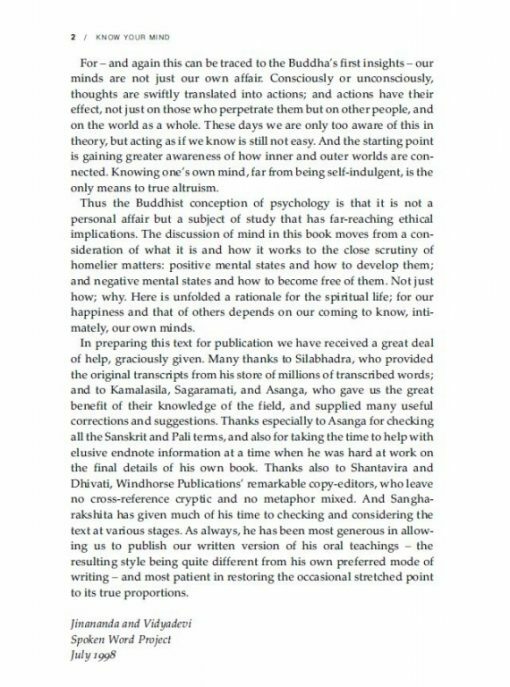 Sangharakshita guides us expertly through the Abhidharma classification of positive and negative mental states and shows us how we can work with them. 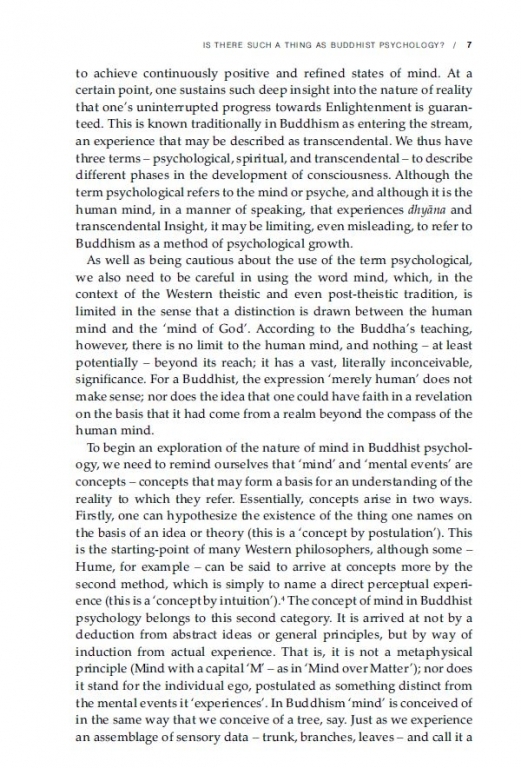 ‘The mind is its own place, and of itself can make a heaven of hell, a hell of heaven’ – Milton, Paradise Lost. 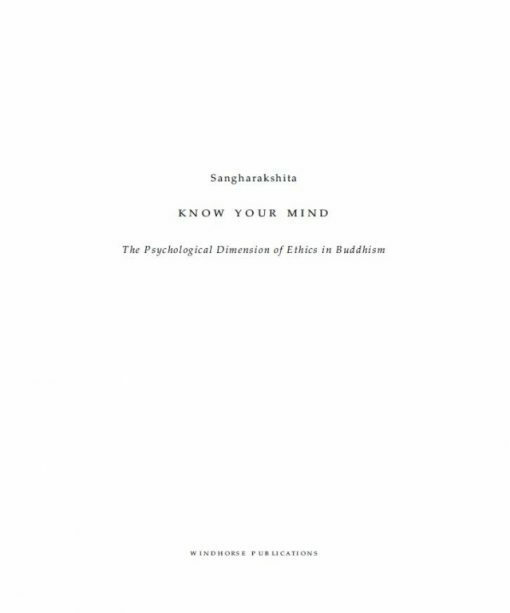 Know Your Mind is an accessible introduction to traditional Buddhist psychology, offering a clear description of the nature of mind and how it functions. 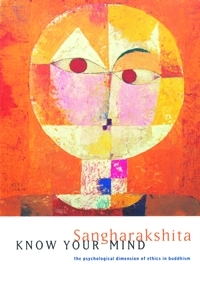 Sangharakshita guides us expertly through the Abhidharma classification of positive and negative mental states and shows us how we can work with them. 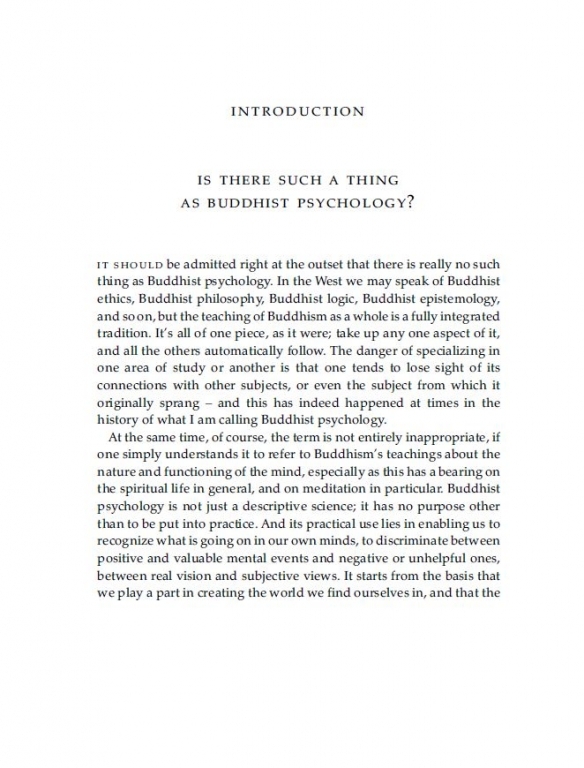 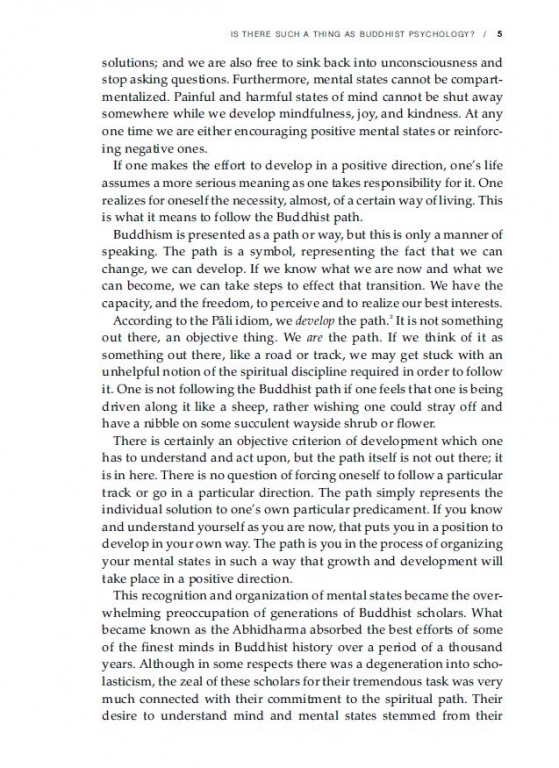 In exploring the part we play in creating our own suffering and happiness, he elucidates the relationship of the mind to karma and rebirth, and stresses the ethical, other-regarding nature of Buddhist psychology. 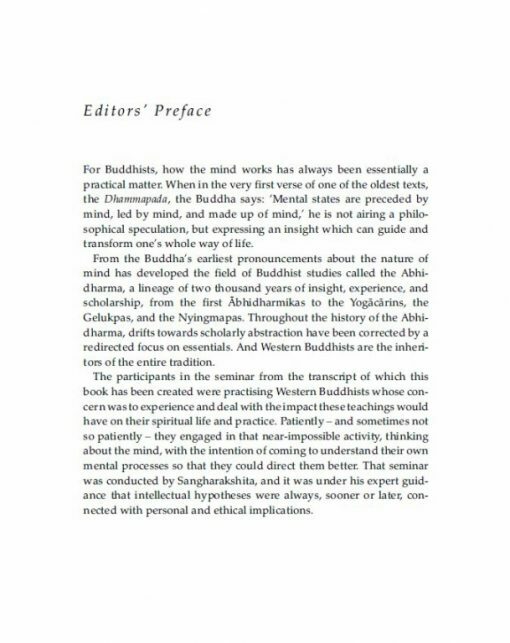 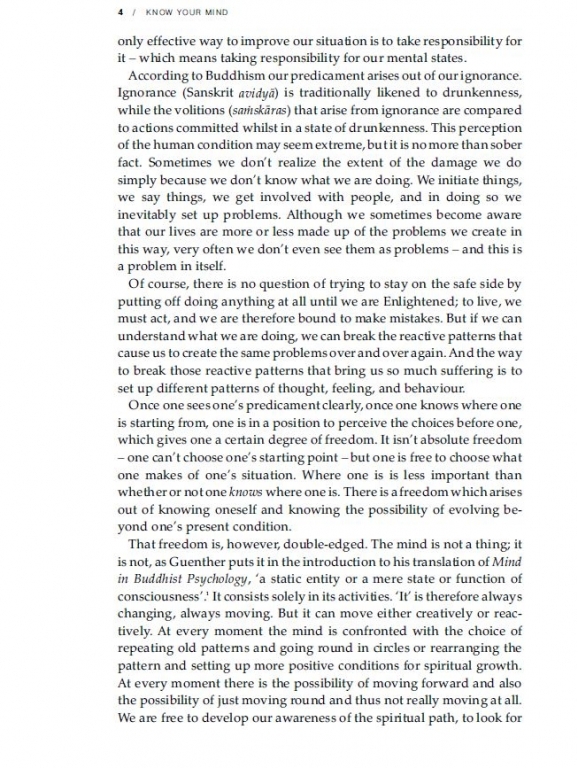 According to the Buddha’s teaching, there is no limit to the human mind, nothing is beyond its reach: Know Your Mind is essentially a practical guide that can help us unlock that potential.